The Parkland massacre — and a subsequent assault rifle scare at their own school — affected, then galvanized many Staples High students. Audrey Bernstein and Kaela Dockray met with Florida survivors, and began speaking out. Over 1,000 students participated in last week’s walkout. Elana Atlas took to the internet. She’s just a freshman — though you wouldn’t know it from her activism. First, she composed 3 letters. One is for Republican legislators. Another is for Democrats. The third is for President Trump. Though each is different, they share the same message: The founding fathers gave all of us rights to life and security. They did not give anyone the right to an AR-15. 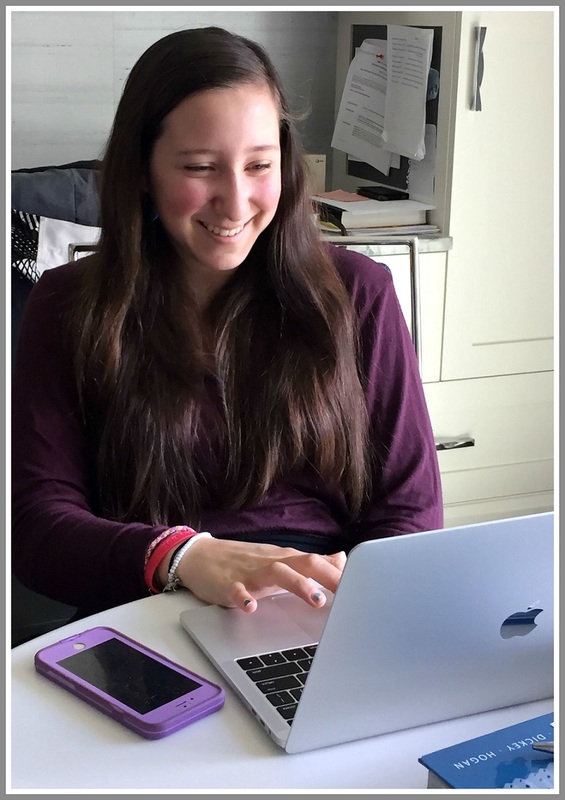 Elana distributed the letters to friends across the country, and asked them to pass it on too. She called them templates, which anyone could revise as they wished. But she wanted even more people to see her letter — and learn about gun issues. The result is ActionAgainstGunViolence. The strongly researched, well-presented website, is a go-to site for anyone interested in facts, resources and action. 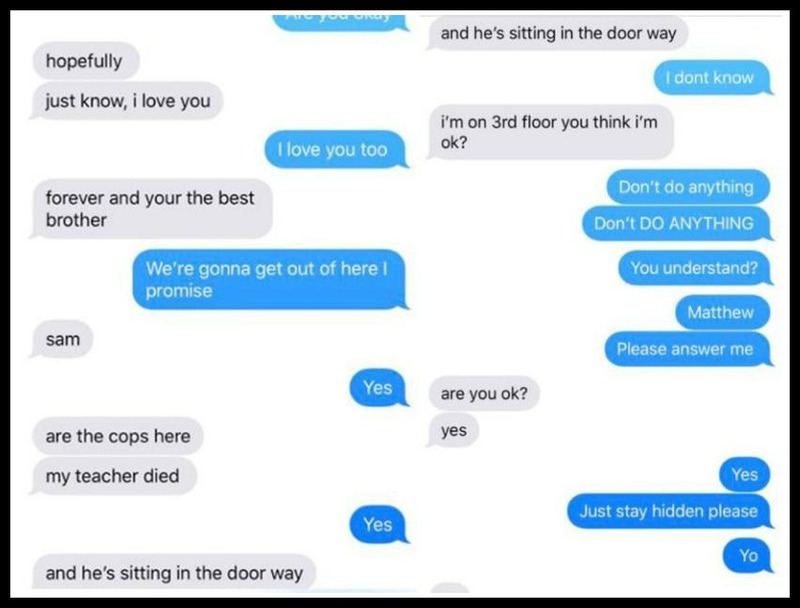 Elana Atlas’ website includes these heartbreaking texts between Parkland High School student Matthew Zeif and his younger brother Ben. Elana has collected background information on the epidemic of school shootings; texts sent by terrified students in the midst of gunfire; counter-arguments to the “right to bear arms” clause; links to gun safety organizations; advice on how to start your own movement — and of course, her letter templates. She even cites all her sources. Her teachers have taught her well. Now — like students all across this town and country — she is taking everything she’s learned in school. And turning it into action for her country. This entry was posted in People, Politics, Staples HS, Teenagers and tagged ActionAgainstGunViolence.weebly, Elana Atlas, gun safety, gun violence, Parkland massacre. Bookmark the permalink. I have been thinking about our outrage at school gun violence as it pertains to mass shootings. Why has it taken us so long to be enraged? Why are we enraged when white children are slaughtered in schools, but show little rage at the ongoing slaughter of black and brown children and adults not tied to mass shootings? We not only have more mass shootings than all but third world countries, our overall murder rate and the rate at which individuals are killed by guns each day is comparable to those same third world countries. This epidemic goes far beyond mass shootings. I’ve been thinking about this for weeks Jill, and I’m so glad you brought it up. Of course it’s always such a shock when something happens in our own schools and neighborhoods, and especially to people we know. I’m glad that young people are getting involved; that’s the only way to make real and lasting change happen. But, every time I see these walk outs and vigils I think of what children and parents feel in poor communities that are riddled with gun violence, and how invisible they must feel. We are rightly shocked, and horrified when 17 children are senslessly murdered. But, we must remember that we lose several thousand children every year to gun violence. There have been more Americans who have died from gun wounds in the last fifty years, than in all of the wars our country has fought. It looks like we still have a big one to fight. This is an important issue. The Parkland survivors have been vigilant at acknowledging that they are being heard because they are white, and privileged. They’ve gone out of their way to connect the school violence issue with other violence that goes on, unreported, in inner cities and less wealthy communities. They’ve met with victims of gun violence in Chicago and other places. They “get it,” and they are using the platform they have to broaden their reach. I think there will be African American and other minority speakers in Washington, New York and elsewhere tomorrow. I’m very glad to know that. It would be a terrific thing if kids from very different backgrounds could work together on this issue. I am so glad students are demanding safety in school, but for all those children in our country who are not safe everyday we should never loose sight of the bigger issue. Just to reflect with additional references, how do we compare in gun violence overall, when we think about our friends and allies? Mass shootings are just terrible, thinking our children are unsafe in school is horrific, but I just don’t think we can genuinely keep our children safe if we think only about what happens between 7:30 AM and 5:00PM on school days in our suburbs to solve this problem. Brilliant approach Elana, don’t stop now. Hopefully, you and your friends can save the adults from themselves. This is proof to me that you can be the smartest person in the room at any age.